One of our specialities is the handling of automobile, auto parts and car accessories. We are one of UK’s top freight forwarders for handling of vehicle movement to and from UK. We specialize in containerized and RORO movement of any size vehicle and caravans. We have extensive experience of handling vehicles in our warehouse, loading, blocking and bracing vehicles with high standard professional packing and padding. 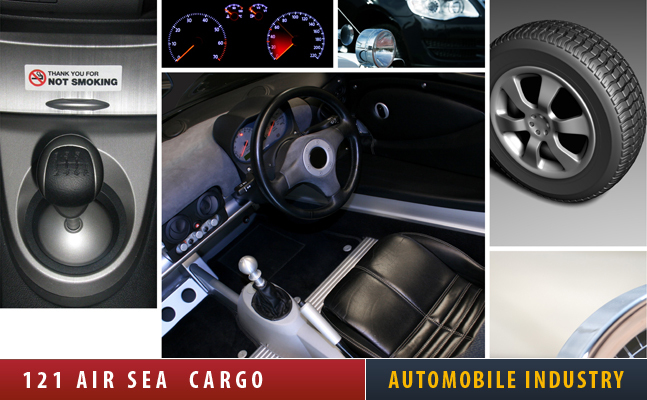 We make sure that Vehicle is safe in the container to face long sea journeys. We also provide e full guidance on paperwork required for importing and exporting vehicles to and from UK. At 121 Air Sea Cargo PLC, over the years we have helped 100s of manufacturers, wholesalers, retailers for import and export of their shipments from car accessories to any size vehicle. We understand the ever growing competitive automobile industry and can assist our clients by taking care of all their logistics needs. Our experienced staff can act as your “in house logistic department” by giving you individualized advice about the most cost effective method of shipping that’s suits your delivery time requirements and can keep you updated about the status of your order at all times. Our tailored made services, strength of our system and flexible operation enables us to work and report as you like by using your purchase order numbers or article numbers as reference for all communication. We act like a bridge among your supplier, you and your buyer. We provide specialised services for air, sea, Road freight and RORO service for all import and export shipments. 121 Air Sea Cargo PLC also provides services for secure warehousing, labelling and relabeling, pricing and tagging, packing and repacking for your products. If you have any questions please contact us and one of our experienced staff members would be able to answer your queries.